Although countries made voluntary commitments to reduce their greenhouse gas emissions, they acknowledged that they still fall short of what climate scientists say is needed to keep the global average temperature rise below 2Â°C. 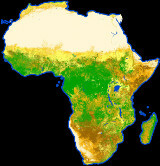 Over the last five years, the ESA GMES (Global Monitoring for Environment and Security) Forest Monitoring team has been working with national authorities, first in Cameroon and Bolivia and more recently in the Republic of Congo and Gabon, to include forest-cover monitoring by satellites within their national Reducing Emissions by avoiding Deforestation and Degradation (REDD+) programmes. The GMES Forest Monitoring team is led by GAF AG and funded by ESA, the German Development Agency and the German Development Bank. In Cancun, the Cameroon government presented results of its REDD+ pilot project, reporting on national and sub-national projects as well as regional coordination through the Commission de Forets D'Afrique Central (COMIFAC). In Cameroon, where forest degradation is more important than deforestation, wall-to-wall satellite maps of forest cover were combined with field data to establish reference emission levels and demonstrate the feasibility of a monitoring, reporting and verification process for REDD+. A key factor in the projectâ€™s success was the exchange of expertise between teams from Bolivia and Cameroon. Also at Cancun, the minister representing the Republic of Congo welcomed the use of satellite data for national REDD+ projects in his country and highlighted the importance of training and building-up local capacity. In Gabon, the government is cooperating with France and Brazil to establish a national agency that will use satellite observations for monitoring changes in both forest coverage and carbon storage levels in Gabon and the Congo Basin. These developments from Cancun highlight the important role that satellite observations of the world's forests will play in enabling developing countries to implement this new policy. ESA and partner space agencies are already working together to ease access to data from their satellites through the Group on Earth Observations' Forest Carbon Tracking initiative. 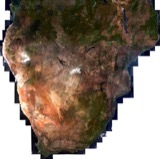 ESA's GMES Sentinel-2 mission, with two satellites to be operated over 15â€“20 years (the first to be launched in 2013), aims to ensure high- quality global observations of forest cover will be continuously available for the future. The free and open data policy approved by ESA Member States for the Sentinel missions will greatly facilitate these efforts by guaranteeing open and transparent access to systematic monitoring of tropical forests, for everyone.